Can You Ask Too Much From God? I have a friend who came over to my house a few weeks ago asking for prayer. She and her husband are asking God for something that is a big request. It reminds me of Sarah in the Bible who had been barren and was beyond her childhood bearing years, receiving the promise of a child. It’s kinda that big. I feel privileged and honored that she asked me to stand with her in faith for this request. I can’t be specific (to protect her) but it had to do with faith towards family planning issues. Knowing my friend’s medical issues, the desire in her heart that she is praying for would be close to a miracle. But one day as she was praying this “hope” and “desire” dropped into her heart with a few specifics. The same day her husband came home from work and told her he had this crazy desire for the exact same thing, with the same specifics. (Sorry to be so vague, I gotta protect my friend). THIS, by the way is a good indication to me that God is at work. The husband and wife are one in Christ and I think God may have been speaking to them both at the same time. (Timing is something I talk about in my book. 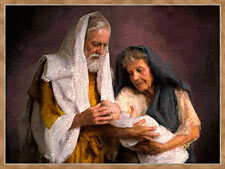 When God is speaking He often uses timing of the details to emphasize He is at work.) They have had the courage to pray and ask God for this miracle and she asked me to stand with them. I can’t wait to see this one come to fruition. With her permission, I’ll share it with you when it happens! So how do I encourage my friend? Realistically I don’t want to help her get her hopes up towards something that may not happen. Some would think her request is maybe asking too much from God. Her request is specific. It is tender. It can only be answered with a miraculous touch from the Lord. So can you ever ask too much from God? Does God frown on us when we ask for things that take faith to acquire? I don’t think so. 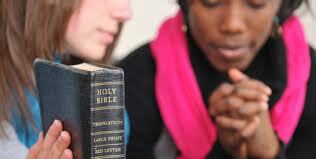 Actually, the Word of God seems to indicate to me that He likes it when we exercise our faith. Does it mean He always gives us everything we ask for? Of course not. But is He irritated that we ask? No. My friend has had many crushing things happen to her lately. A sibling died. A child died. Big, heavy and crushing things. There is a part of me that wants to protect her from another disappointment and tell her all the reasons why God may not grant her request. You know, cushion the blow. Many see getting someone’s hope up as cruel. Especially someone who has been bruised lately. 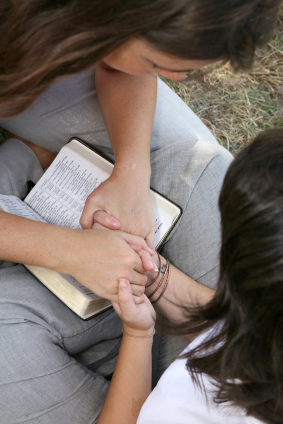 So Lord, how do I have faith for my friend and stand with her in this faith battle? How do I know how to encourage her? Do I cushion the blow or encourage her faith? As I rack my brain to remember what scriptures might speak to her situation, I realize there is no scripture that says, “Protect your friends from risks. Be fearful of the One who may not answer…” Nope, there’s NOTHING like that in scripture. So those thoughts, those “voices” in our minds are simply put, not from God. I think of my four year old son who just the other day asked me for hostess cupcakes and soda for breakfast. I love my son, and so the answer for my son was “no.” I love him too much to give him something that will destroy his body for breakfast. He didn’t like my answer, but he knows I love Him. If my friend’s request was completely self-serving and there was nothing in scripture to back up the idea that God was behind it, I’d think her request might merit a “no” answer. But it isn’t like that. Her request is supported by scripture. There are scriptures that talk about what she is asking for and it says this blessing is from the Lord. I believe that God stands by His Word and if His Word supports the things we ask for, we can put away the question of “if God wants me to have it or not.” He does not sit up on His throne playing with our lives sadistically saying that He’ll give one person this blessing, but not to that person… If the Word of God says that what you are asking for is a blessing from God, then I believe He stands behind your desire for that thing. (It doesn’t mean it’s an automatically easy thing to aquire due to the state of the world we live in, but He’s in agreement with your request.) So the overall thing my friend is asking God for is said in the Bible to be a blessing from the Lord. So that means to me, we can settle the issue of whether or not it’s OK to ask God for it. The details of that prayer is between them and God, but the overall request is absolutely scriptural. For my friend, she can’t aquire this request on her own without God. Yea! That’s great news! My experience shows this gives a great opportunity for God to show up. She’ll need to seek Him. She’ll need to cultivate her trust. She’ll need to trust that He is faithful and that He is good. “By faith Sarah herself also received strength to conceive seed, and she bore a child when she was past the age, because she judged Him faithful who had promised.” Hebrews 11:11 What if she had judged Him “not faithful”? Sometimes it takes getting us to lie on the floor and scream in frustration to get our hearts looking at Him again. That doesn’t mean my friend hasn’t been looking to Him. But I know that place of total frustration, something happens in those moments. I think it’s surrender. I know I’ve been there. I’ve screamed into a pillow. I’ve yelled to God in the silence of my car…and I’ve never felt that He was angry with me for it. I actually ended up trusting Him more for not being angry with me. He is good. He is faithful. And I have no doubt that as my friend “judges Him as faithful” and begins to fill her heart with the fact that He is good and that He supports her request, her answer will come in His timing. “Psalm 37:4 Trust in the Lord and He will give you the desires of your heart. 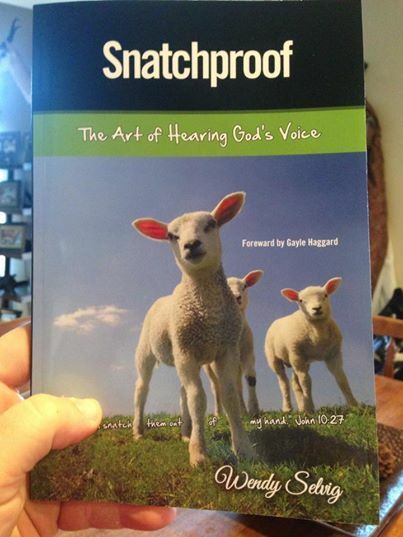 To get your copy of Wendy’s book, Snatchproof, the Art of Hearing God’s Voice, Click HERE. Next Post Why A Broken World Proves God Is Amazingly Good. Thank you sweet Wendy, for your wisdom, your faith, and your tenderness. I am blessed to have you in life as a friend, and a Godly woman.